NaturZ Foods, who have been supplying independent stores with pulses, spices and rice since 2011 have launched their first promotional reward campaign designed to thank customers for their business and take them on an cultural journey that goes further than taste. NaturZ, who is owned by Export Trading Group, will be rewarding every customer who purchases three promotional products, with a free cinema voucher. Cinema is one of the most popular pastimes for UK consumers and since the major hike in ticket prices, a free voucher to watch the latest movie is perceived as a real added value to consumers. The promotional campaign, delivered by TLC Marketing, sees NaturZ partner with Vue and ODEON cinemas to fulfil the one free cinema voucher. NaturZ hope this is seen by their customers as a way to say thank you for their custom. Through this promotion NaturZ hope to hold their position as a highly valued brand within the pulses, spices and rice category. The campaign will be promoted on 150,000 NaturZ packs and via in-store posters, shelf wobblers, shelf headers and free standing units in 120 stores nationwide. Customers will be directed to the campaign website via the on pack stickers where they will enter their three promotional codes to claim their free cinema voucher. The campaign will run between 17th August 2017 and 17th November 2017. 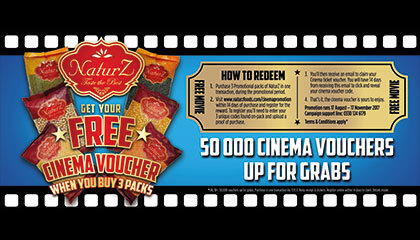 To qualify for the free cinema voucher, customers must purchase three promotional packs in one transaction. Customers will have 14 days from purchase to register for their free voucher and will then have 14 days after receiving their voucher to claim. NaturZ began life in 2011 and since its humble beginnings has become a leading foods brand in independent stores throughout the UK. Distributing to over 100 stores in the UK and into 10 countries in Europe, NaturZ travels all around the world to source the finest ingredients including pulses, lentils, nuts, spices and rice. TLC Marketing UK is the Institute of Promotional Marketing’s Agency of the Year 2017. They are global leaders in loyalty, incentive and reward campaigns. Operating in 17 markets across the globe, they allow brands to outpace their competition for a fraction of the cost of the alternatives. TLC featured in the 2015 and 2016 Sunday Times International Fast Track 200 and the London Stock Exchange 1000 Companies to Inspire Britain 2015. 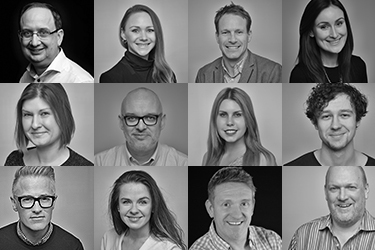 They have launched award winning campaigns for Bupa, Continental Tyres, Braun and Pallas Foods. They also won the Queen’s Award for Enterprise in International Trade 2016. Other clients include Yakult, Elastoplast, The Post Office and HSBC. For press enquiries please contact Emma Critchley on 020 7725 6029 or via email.